Married. Married Kathleen (Catherine Madeline) MARKHAM on 24 November 1915 at Geraldine. Child - Hector Joseph FITZGERALD born 31 January 1917 at Rangiora. Height 5 feet 8 inches. Weight 159 lbs. Chest 33-35 inches. Complexion fair. Eyes blue. Hair light. Sight 6/6 for both eyes. Hearing & colour vision good. Limbs & chest well formed. Full movement of joints. Heart & lungs normal. No illnesses. Free from hernia, variocele, varicose veins, inveterate or contagious skin disease. Slight haemorrhoids. Vaccinated (right arm). Good bodily & mental health. No defects. No fits. Declared Fit Class A. This John FITZGERALD was the second born son of David and Bridget (nee BUCKLEY) FITZGERALD, both of Ireland. John married Catherine Madeline MARKHAM, on 24 November 1915 at Geraldine. When he was called up, John said that he had married on 15th November (1915) and asked for three months extension on the grounds that the health of his wife would be detrimentally affected by his being called up at that time (February 1917). He was allowed one month. Their son, Hector Joseph, was born on 31 January 1917. On enlistment he was working as a plate layer for the Public Works Department. 19 July 1917 appointed baker; 16 September 1917 ceased to be baker. John served 1 year and 318 days abroad. He embarked for the return to New Zealand by 'Tofua' on 18 April 1919 and was due to reach this country in late May 1917, for Geraldine. 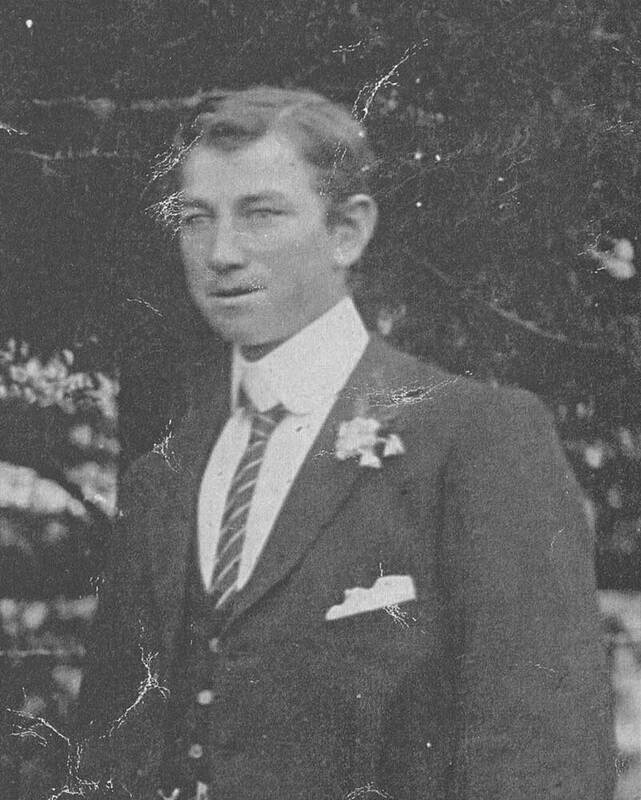 After the war John engaged in farming, firstly at Orari Bridge, later at Glentunnel and Kirwee, before moving to Christchurch where he retired. John's brother James Joseph FITZGERALD also enlisted for WWI; as did his brothers David FITZGERALD (62815), Edmund FITZGERALD (83325) and William Joseph FITZGERALD, all born in Ashburton and resident there at time of Elistment.